On this four-star escape, you will be located in Ambleside: home to the enchanting Lake Windermere, where lots of water-based and outdoor fun awaits! This is a beautiful part of the Lake District so be sure to make the most of the surrounding walking and cycling paths and the nearby spas. Our members will be spoiled a bottle of prosecco in the room, dining discounts and boat cruise tickets for two! A haven for walkers, the Lake District awaits and is ready to be admired. Loughrigg Terrace, Easedale Tarn, Alcock Tarn, Helm Crag and the Coffin Trail are shorter walks that are not to be missed, whilst more challenging feats include Helvellyn, Langdale Pikes, Fairfield Horseshoe and Scafell Pike. Brave the peaks of Coniston Old Man and Skiddaw for breathtaking scenery. 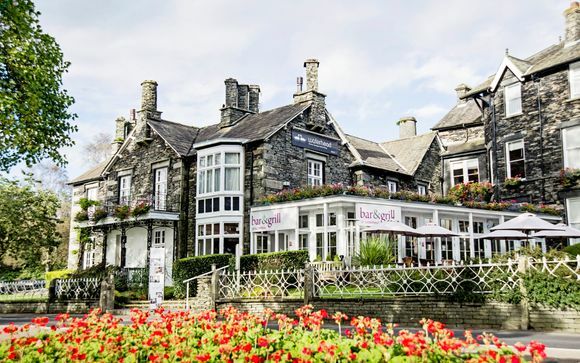 The lovely Waterhead Hotel is a four-star residence nestled in the stunning landscape of Ambleside. Combining traditional Lakeland with modern and luxurious interiors, a stay at this boutique Lake District hotel guarantees all the comfort and relaxation you need after a day of outdoor fun! Get to enjoy a range of elegant rooms in this fairytale location. Guests will stay right next to the famous shores of Lake Windermere and will enjoy the plethora of adrenaline filled activities out on the water - as well as the many popular walking and cycling routes surrounding the hotel. This stylish hotel is home to just 41 elegant rooms - each boasting an en suite bathroom as well as the homeliest of furnishings. Escape to your House Room and get to start of your holiday in the best possible way, with a complimentary bottle of fizz! 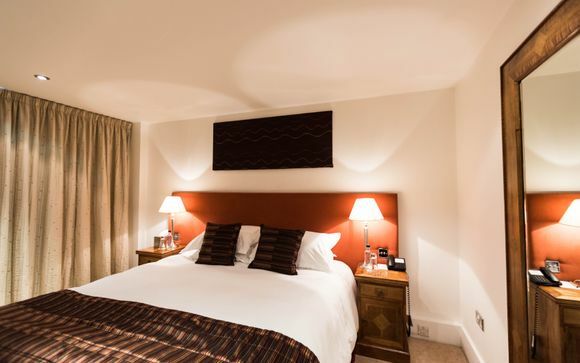 These rooms provide a truly decadent feel and include a comfy King or Twin beds; a TV and DVD player, tea and coffee making facilities, a hairdryer, telephone and a selection of luxurious toiletries from the White Company. Wake up each morning to lake views and a hearty Cumbrian-inspired breakfast, with everything from the menu championing local ingredients. Make your stay even more special and head to the hotel's Bar & Grill to enjoy a bright, modern setting and wonderful scenery. New on the menu here, is a mouth-wateringly good Gin & Tonic Afternoon Tea. Sip on a cocktail from the hotel's extensive list of handcrafted drinks as you dangle your feet into the shallows of Lake Windermere or head to the Low Wood Bay Hotel, just a stone's throw away, to indulge in some spa time. Whether you're after an express beauty treatment during the week or a relaxing massage on the weekend, all guests of the Waterhead Hotel will receive a free pass to the nearby property, where they can make the most of a range of facilities. Find out more from your hotel.